eGuia del coatsas Y playas - Clarinda Parques S.L. 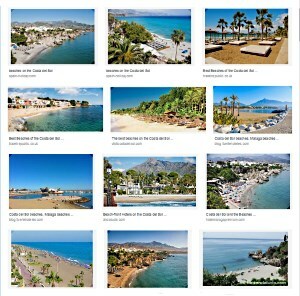 The Costa del Sol, The Costa de la Luz and the Costa Tropical. All are within easy reach for a day trip by car, from the Genal Valley. Jubrique to Estepona on the Costa del Sol from 45 minutes. Jubrique to Tarifa on the Costa de la Luz from 1 h 50 minutes. Jubrique to Nerja on the Costa Tropical from 2 h 40 min. Alpandeire to San Pedro on the Costa del Sol from 1 h 20 minutes. 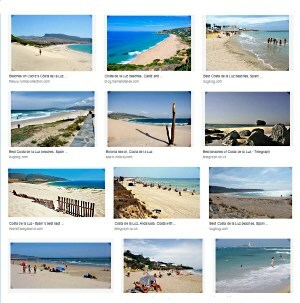 Alpandeire to Tarifa on the Costa de la Luz from 2 h.
Alpandeire to Nerja on the Costa Tropical from 2 h 30 min. Its location at the southernmost point of the Iberian Peninsula and its outstanding climate have made it an object of desire for millennia, coveted by the Tartessians, Phoenicians, Greeks, Romans, Visigoths and Moors. There is one attraction after another along these 200 km of the peninsula’s finest golden sands. Sanlúcar de Barrameda is at the mouth of the Guadalquivir River, the natural channel along which major cultures and civilisations have travelled, leaving behind their indelible marks. Its exceptional location opposite Doñana National Park, Spain’s most important Biological Reserve, makes it an ideal starting point for visitors who want to reach this nature area. The popular Bajo de Guía Beach is where its famous horse races are held every year. Chipiona, Rota, El Puerto de Santa María, Puerto Real, Chiclana, Conil, Barbate and Tarifa are some of the main towns and cities, with spacious beaches, tourism infrastructures and clear waters. These areas are perfect for windsurfing, while underwater fishing is also popular in the crystalline waters off the numerous beaches: Los Lances, Bolonia, Punta Paloma, de la Plata, Valdevaqueros and Torre de la Peña. Its Mediterranean location and its proximity to northern Africa and the Sierra Nevada Mountains, with the highest peaks on the Iberian Peninsula, protect this coastline from cold winds from the north. A sub-tropical microclimate, with 320 sunny days a year and an average temperature of around 20º C, makes it possible to grow tropical fruits on the lush fertile plains. Cliffs, coves and broad beaches make up the landscape of this coast, coveted and conquered by numerous settlers, including Phoenicians, Romans and Moors, who vied for it and left the imprint of their cultures. 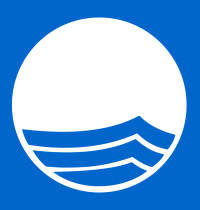 There are five tourist centres on the Costa Tropical: Almuñécar (La Herradura), Salobreña, Motril, Castell de Ferro and La Rábita. All have good tourism infrastructures and are ideal for a number of sports, including windsurfing, surfing, scuba diving, fishing, sailing, water skiing, golf, tennis, squash, horse riding, etc. The Sierra Nevada Mountains, at an altitude of 3,400 m and just 40 km from the coast, are the perfect place for alpine skiing and mountaineering. 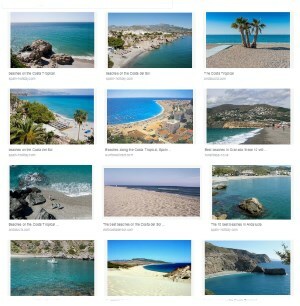 You will also find everything from marinas and places where you can take part in a multitude of water sports to spectacularly beautiful cliffs and secluded natural coves, as well as some outstanding beaches.